We studied modern approaches to the notion of “culture” to study artistic musical interpretation as a cultural phenomenon by referring to the studies of N. Bagdasaryan, A. de Benois, V. Vernadsky, V. Davidovich, V. Dolgov, P. Gurevich [10; 2; 6; 7; 5]. In addition, we found out how the term “creativity” was interpreted in the writings of N. Berdyaev and L. Levchuk [2; 13]. We considered the concepts of “hermeneutics” and “interpretation” which are based on the studies of N. Arnonkur, N. Bagdasaryan, A. Belyaev, H. Gadamer, N. Zhukova, V. Moskalenko, G. Orlov, A. Samoilenko [1; 10; 20; 4; 9; 15; 16; 17], and we also used the definition from the encyclopedic dictionary of Brockhaus and Efron . Thus, the object of research is artistic, in particular, musical, interpretation as a phenomenon of culture. Based on this, the aim of the study is to determine the meaning of the interpretation, its role and influence on the cultural environment in general. To do this at the initial stage of the study it is necessary to study such important concepts as hermeneutics, interpretation and to consider these terms from the point of view of their understanding in the theory and history of culture. To study the problem of the interpretation in the aspect we have proposed, we should turn to the definition of culture and why the artistic interpretation should be viewed as a phenomenon of culture. The notion of “culture” is incredibly complex in its understanding and it includes many centuries of researches made by researchers in understanding its essence, its constituent parts, main and secondary branches, its direct manifestations, moreover, the very definition of culture. We give several different interpretations of the concept in order to prove the possibility, even the need to consider artistic interpretation as a phenomenon of culture. “Culture is a phenomenon that is organic to the life of mankind, its meaning is determined by man’s creative efforts to create a “new world”, or, as V. Vernadsky considered, “”noosphere” that is, a sphere of human thought and the reason that is not a subject to decay and death” [10, p. 51]. In the “Short thematic dictionary” V. Davydovich points out that “the word and the concept of “culture” are used and applied in non-coinciding relations. … It (culture – I.K.) is defined as a system of signs, a symbolic shell of a human activity; as that which is done by a man, resists to nature (nature), as the world of artificial facts (artifacts); as a process of progressive self-liberation of a man; as a form of a traditional behavior, a lifestyle program, etc. The presence of such a set of definitions demonstrates the complexity of what is called culture. Culture includes both activities, and its results, meanings and assessments. It depends on how diverse and contradictory, inexhaustible and multifaceted man himself, its creator and consumer» . Let’s turn to one more definition of the term of interest to us. P. Gurevich differently treats culture, believing that it “expresses the depth of the immeasurability of human existence,” moreover, “culture is the formation and creativity» [5, p. 16] 1. [ 1 In the aspect of the “human” dimension of culture, Hurewicz’s definition touches the definition of the French culturologist A.de Benois, who spoke on this subject as follows: “Culture is the specificity of human activity, what characterizes a person as a species. It is in vain to look for a person before culture, his appearance in the arena of history should be regarded as a phenomenon of culture. It is deeply associated with the essence of a man, is a part of the definition of a man as such” [2, p. 114]. It is also necessary to note a look at the culture of V. Dolgov from his work “A Brief History of Russian Culture from the Ancient Times to Our Days”, in which the researcher emphasizes the manifestation of culture in creation, and this idea is consonant with the definition of creativity L. Levchuk, which gives us the right to Once again identify cultural self-expression with the creative beginning of human activity. The researcher expresses the idea of culture as “a set of positive values created by mankind in the process of development (that is, all that is useful, necessary, good, which was done both in the material and spiritual spheres).” In this context, it is important to distinguish directly the meaning of the word “culture” itself, which we find next: “(Latin cultura – cultivation). This is the so-called technological or activity approach: it is built on the understanding of culture as human activity and its results. Thus, everything that is created by man in contrast to natural givenness, and the process of creation we will call culture» . 2 Let’s cite the culturological definition of interpretation, which belongs to G. Dragovets: “artistic interpretation is a kind of creative activity aimed at revealing the content and recreating the original work in a different kind of art.” The structure of artistic and interpretive activity consists of two interrelated processes: interpretation as a thought translation of one art form into another; And interpretation as an act of artistic embodiment of the interpreter’s intention in the material of a new kind of art. Proceeding from the above-mentioned judgments about culture, artistic interpretation is a bright and unique phenomenon of it, being a directly creative process (recall from Gurevich’s definition: culture expresses the immeasurability of human existence, culture is the formation and creativity), the expression of creative activity and the manifestation of human existence. As for the actual art of music, depending on the individual characteristics of the performer’s personality, the result of his creative activity is formed an artistic interpretation that is an integral part of culture (see the definition of D. Davydovich’s culture: we believe that the interpretation can be as Multifaceted, like a man – the creator of culture). One of the main manifestations of culture is creativity, a term that has already been encountered in the above definitions of culture (see: [5, 6, 10]). Let us turn to the definition of creativity from L. Levchuk’s study: “Creativity is the creation of something “fundamentally new”” [11, p. 14]. Note that N. Berdyaev once wrote, emphasizing the dominant role of re-thinking of the existing in the process of creativity: “The creative act is always liberation and overcoming. In him there is an experience of power …” [3, p. 6]. The understanding of creativity and its results is polemical, but almost all researchers agree in one thing: the manifestation of creativity is not only the creation, but also its result is the creation, work, etc. Thus, the interpretation carries not only the performing act, but also a new vision (hearing!) Of the composer’s intention of a musical work fixed in culture. Here we point out that the musical work, according to A. Khananaeva, “is a form embodying the cultural content of the era”. And further: “A musical work … is a way of being a culture in the information system. Information is a constantly expanding substance of culture, which in a new quality is included in the subsequent genre-stylistic model that is into a musical work. Thus, creative thinking integrates historical experience, actualizes the reflection of the possibility of art” [18, p. 312]. G. Orlov in the famous work “The Tree of Music” in his reflections on music as a cultural phenomenon quotes the following idea of Alain P. Merriam: “Music is a product of human activity that has a structure, but its structure does not exist independently, in isolation from the one that gave birth to it Behavior. In order to understand why this music has exactly this, and not any other structure, we need to understand why the behavior that generated it is exactly that, to understand its internal order, which led to the creation of this form of organized sounding “[16, p. 20]. 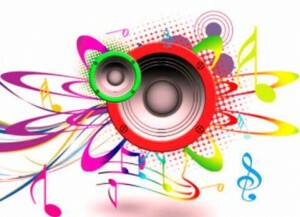 That is, music, one of the many manifestations of artistic culture, thanks to the creative act is a reflection of human activity, unique and unique. As a result, interpretation as one of the composite “music” becomes a phenomenon of culture, thanks to the universe that creates it is a person. (The statement that there was no musical performance without interpretation would probably be banal, but nevertheless we turn to the following thought: “… The relic gets meaning when it finds the right place in the true story … The door is not a door if there is no door around it. It’s just a hole, and not even a hole because emptiness, if there is no fullness around it, it’s not even a void” [19, p. 127]). Thus, based on the statement of U. Eco, the interpretation can be understood as the house, the fullness in which the musical work resides. Next, we should proceed to consider various interpretations of the understanding of direct interpretation 2. According to many researchers, the closest in meaning to the interpretation is hermeneutics. The origin of the word is Greek, ερμηνεύειν, in translation it means “designation”, “interpretation”. The same translation we get from the Latin interpretatio. But in fact, these concepts are significantly different. In the encyclopedic dictionary of Brockhaus and Efron, hermeneutics means “the doctrine of the ways of correct interpretation of ancient authors, mainly applied to the biblical text” . From this it follows that hermeneutics studies, in the main, the means of the verbal language and literary texts. Let’s now turn to the modern definition of N. Bagdasaryan: “Hermeneutics (Greek is interpretive art) – traditions and ways of interpreting polysemantic or indecipherable texts (mostly ancient, for example, Homer, the Bible, etc. )” [10, p. 218]. According to H. Gadamer, the founder of philosophical hermeneutics, “true understanding is not only a reproductive, but always also a productive attitude. It requires constant consideration of the historical distance between the interpreter and the text, all historical circumstances directly or indirectly linking them, the interactions of the past and today’s spiritual atmosphere” [4, p. 21]. Let’s now turn directly to the term “interpretation” of interest to us. In the textbook “Aesthetics” by A. Belyaev we find several definitions of interpretation. Here is one of them that is the most consonant with the problem of our work: “Interpretation is in art: the creative mastering of a work of art associated with its selective reading (sometimes polemic): in processing and transcription, in artistic reading, director’s script, acting role, musical performance» [20, p. 167]1. Transferring this position to the problem of our research, we will see that under the development of a musical text, by selective reading, it also means an update, a new vision of the work. As a result, as it was mentioned above, there is a possibility of creating an updated on the figurative content of the creation on the basis of the already existing one. It is important to note that a musicologist A. Samoilenko divides the interpretation into three types: ordinary (everyday), scientific (theoretical-analytical) and artistic (art criticism) [17, p. 3]. Immediately note that in this paper, first of all, we will be guided by the third (artistic) version of the interpretation. V. Moskalenko described the term as follows: “Musical interpretation is a subject that reveals an interpretative direction, as well as a certain type of creative activity. It is connected with the interpretation of musical material and musical work, the comprehension of their expressive possibilities and the possibilities of variant reading” [15, p. 3]. In his opinion, three terms of interpretation are used in modern musical practice, namely: “a) in the broad sense, when the term denotes all the given field of scientific knowledge, b) the activity itself for understanding-interpretation of the musical work, c) a narrow meaning, when the term designates the result of such activities, for example, the performance version of the work” [ibid]. V. Moskalenko focuses attention on the fact that in the matter of musical interpretation the existing terms are not entirely accurate, one must take into account that the interpretation and explanation do not disclose the whole essence and role of the interpreter of the musical work. After all, in the words of the researcher, apart from the declared functions, “the purpose of musical interpretation can also consist in aesthetic renewal, the disclosure of the expressive possibilities of a musical work, its adaptation to a new life necessity, and even the creation of a new musical work on the basis of already existing musical material” [15, p. 25]. So we came to the confirmation of our thesis about artistic interpretation as a phenomenon of culture that is about the performance of a musical work in which the composition is updated, to some extent, even a new musical creation is being created. For a full understanding of the interpretation in the context of the phenomenon of artistically valuable and unique, it is necessary to bring the following thought of G. Orlov: “The sound product of each musical act is always unique and unique, because it is formed as the musician sings or plays. “A thing,” a special object that can be comprehensively and in detail analyzed, it only becomes fixed by means of sound recording, decoded and notated” [16, p. 61]. We will pay attention to this later. Considering the role of the interpreter in the context of the performing process, it is important to turn to the thought of the culturologist N. Zhukova, who believes that: “The place of the interpreter in the performing arts is enormous: performance is the set of actions (spiritual and physical) of the interpreter that are focused on translation (embodiment) Author’s intention …” [9, p. 58]. So, the interpreter had charged with the need for an individual reading and meaningful interpretation of the author’s design of the work, with the direct inclusion of his personal vision and understanding of the work. The concept of performing style is the key for understanding the interpretation because being based on the opinions expressed, it is thanks to the individual style, which assumes the constancy of the performer’s personal characteristics, increases the chance to create a new, deeply interpreted interpretation of the musical work as an original cultural phenomenon. To summarize, the interpretation of a musical work in a narrow sense can only become a phenomenon of a high artistic culture, when it will contain not just another performance, but as a new milestone in the reproduction of a certain composition, will acquire a different, precious cut, moreover, with such Circumstances, the probability of creating a completely new reading of the essay increases! At the same time, the ratio of one’s own is another’s in the game, in our opinion, implying the intention of the composer, and his own is the individual vision of the performer, should be in ideal proportions so that the interpretation won recognition and value in the ontology of the masterpiece being performed. After all, the formation of one’s own interpretation of the work of the interpreter must be based on the foundation not only of the historical tradition of performance, but directly on the “knowledge” of the performance manner and interpretation of the author himself (recall that these provisions act as necessary components of the interpretation process, according to N. Zhukova – see higher). Exactly these components become the main criteria in determination of quality artistic interpretation that at the terms of individual interpretation by the performer of work of art can be named and become the phenomenon of artistic culture, self-valuable and unique. 1. Arnonkur N. Muzika kak yazik zvukov / N. Arnonkur. – S.: Sobor, 2002. – 184 p.
2. Benua A. Vosstanie kultur. Evropeyskiy manifest XXI veka / A.de Benua. – M.: Russkaya Pravda, 2004. – 240 p.
3. Berdyaev N. Smysl tvorchestva. Tvorchestvo i iskuplenie / N. Berdyaev. – P.: IMKA-PRESS, 1985. – 318 p.
4. Gadamer H.-G. Istina i metod: Osnovy filos. germenevtiki / H.-G. Gadamer // Obsch. red. i vstup. st. B.N. Bessonova. – M.: Progress, 1988. – 704 p.
5. Gurevich P. S. Filosofiya kultury : Ucheb. posobie dlya studentov gumanit. vuzov / P. S. Gurevich. – 2-e izd., dop. – M. : Aspekt press, 1995. – 286 p.
7. Dolgov V. Kratkiy ocherk istorii russkoy kultury (s drevneyshih vremyon do nashih dney) / V. Dolgov. – Izhevsk: Udmurtskiy universitet, 2001. – 196 p.
8. Dragovets G.V. Hudozhestvennaya interpretatsiya kak esteticheskaya problema: Avtoref. dis. … kand. filosof. nauk / G.V. Dragovets. – M., 1980. – 20 p.
9. Zhukova N.A. Interpretatsiya yak komponent muzichnoyi tvorchosti: estetichniy aspekt: Dis. … kand. filos. nauk / N.A. Zhukova. – Kiyiv, 2003. – 191 p.
10. Kulturologiya: Ucheb. dlya stud. tehn. vuzov / Koll. avt. ; Pod red. N. G. Bagdasaryan. – M.: Visch. shk., 2001. – 511 p.
11. Levchuk L. Moralno-esteticheskie problemi tvorchestva / L. Levchuk. – K.: Vischa shkola, 1981. – 184 p.
13. Medushevskiy V. Muzika Rahmaninova: Traditsiya duhovnogo realizma / V. Medushevskiy // S. Rahmaninov: na perelome stoletiy. Sbornik materialov mezhdunarodnogo simpoziuma. – Harkov: Maydan, 2004. – P. 14-22. 14. Moskalenko V. Tvorcheskiy aspekt muzikalnoy interpretatsii (problema analiza): Issledovanie / V. Moskalenko. – K., 1994. – 157 p.
15. Orlov G. Drevo muziki / G. Orlov. – SPb. : Kompozitor, 2005. – 440 p.
16. Samoylenko O.I. Teoriya muzikoznavchoyi interpretatsiyi yak napryam suchasnoyi germenevtiki / O.I. Samoylenko // Chasopis Natsionalnoi muzichnoi akademiyi Ukrayini im. P.I. Chaykovskogo: Naukoviy zhurnal. – # 2 (11). – K., 2011. – P. 3-10. 17. Hananaeva A.V. Muzika kak istoricheskaya informatsiya. Problemi suchasnosti: mistetstvo, kultura, pedagogika / A.V. Hananaeva // Zbirnik naukovih prats. Luganskiy derzhavniy institut kulturi i mistetstv. – Vip.13. – L., 2003. – P. 311-320. 18. Eko U. Baudolino / U. Eko. – SPb. : Simpozium, 2007. – 576 p.
19. Estetika: Slovar / Pod obsch. red. A.A. Belyaeva i dr. – M.: Politizdat, 1989. – 447 p.